If you live in the United States or the United Kingdom, you might encounter a measurement known as the square yard. (In other parts of the world, you'd be much more likely to encounter the square meter.) A square yard represents a unit of area where each of its sides is one yard long – so, yes, an actual square. Square yards are commonly used for carpeting and other flooring, but you might encounter them in any situation where you need to describe or measure an area that's too big for inches and feet, but not big enough for acres or miles. 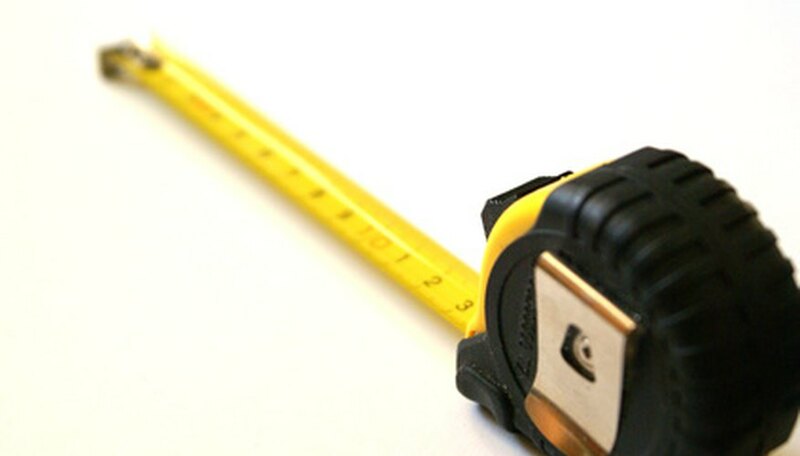 Measure the length and width of your area in yards, or convert already-known measurements into yards if necessary. Then multiply length × width to find the area in square yards. If you want to calculate the area of any square or rectangle, all you need is a simple formula: length × width, where length and width are any two adjacent sides of your figure. Both length and width must be in the same unit of measure, and your result will be in terms of that unit squared. So if your measurements are in yards, your result will automatically be in square yards. So the area of your space is 72 square yards. It's important to leave your units of measure – in this case, yards – in the left side of the equation. You might lose points if you forget to include them, but they're also your clue about what unit of measure to use in your answer. Lastly, if you have your units of measure written out, that makes it easier to go back and double-check your work if necessary. In order for the length × width formula to work, both measurements must be in the same unit. But if you want the answer to be in square yards, then the length and width measurements must be in yards. If you don't have access to a ruler with yard markings, or if you're finding it to get exact measurements in terms of yards, you can take your measurements in another unit and then convert them to yards before you calculate the area. The most common conversion into yards that you can expect to make is feet to yards. 3 feet equal 1 yard, so to convert from feet to yards, divide by three. Example: Convert 51 feet into yards. If you've already calculated area in a unit other than yards, you can also convert that result into square yards. Again, the most common conversion you can expect to make is square feet to square yards, or sq ft to sq yd in abbreviated form. If you remember that 1 yard is equal to 3 feet, it should come as no surprise that one square yard is equal to 3 feet × 3 feet, or 9 ft2. So to convert from square feet to square yards, divide by 9. How Do You Calculate Inches Into Square Feet? Maloney, Lisa. "How to Calculate a Square Yard." Sciencing, https://sciencing.com/calculate-square-yard-7891906.html. 15 October 2018.